Contrary to popular belief, Antarctica’s ice is always on the move. Find out why keeping track of it is so crucial to scientists. The Antarctic ice flow is among the most pivotal determiners of the health of our planet and scientists monitor it to better understand the behaviour of ocean currents, climatic patterns and the effect of global warming. Read more to discover what ice flows can tell us. 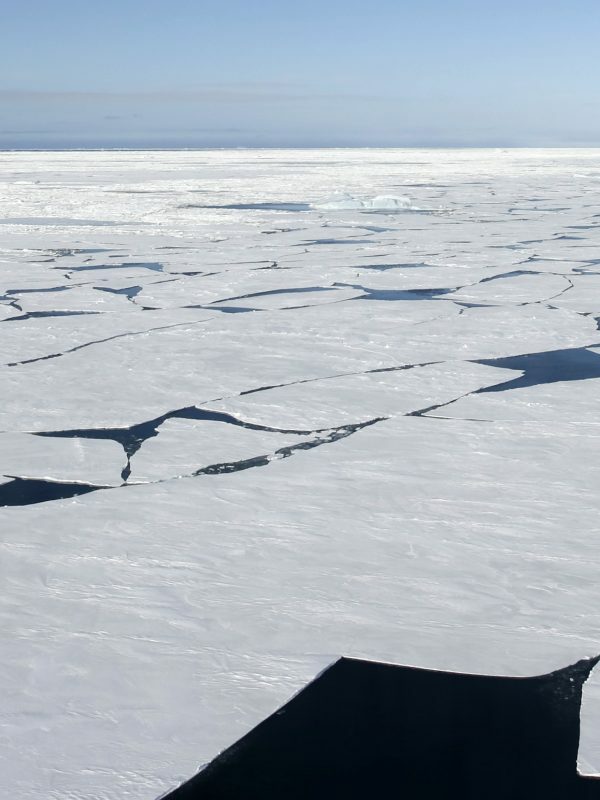 What’s the difference between an ice floe…and ice flow? Ice floes are chunks of frozen water floating on the surface of the sea. They can vary dramatically in size, from being less than 1m long to stretching over 10km. They differ greatly from icebergs in that ice floes are created when sea ice freezes whereas icebergs are created from compacted snow, which freezes, bonds and detaches from an ice field or glacier. Ice floes are flat up top whilst icebergs can be dramatically jagged and rise up dozens of metres from the sea surface. The ice flow, however, is the movement of all ice across Antarctica. Contrary to popular belief, Antarctica’s ice isn’t a solid, unmovable entity – not even right in the heart of its frozen core – but rather a constantly moving collection of impacted snow and frozen sea water that shifts and moves forward at varying speed. The ice flow is determined by a number of factors, including gravity and where it rests on solid ground, either underwater or above the surface of the sea. The ice of Antarctica has always been on the move yet with ever-increasing ice melt, the ice flow is picking up speed at an alarming rate. This is what concerns scientists most. The video below does a great job of illustrating the ice flow in Antarctica, the red ‘currents’ highlighting how ice is being expelled from the icy core of the continent towards its coastline and open water. Here, it will meet with ever-increasing sea temperatures and melt much faster. Ice in Antarctica melts all the time and always has, yet as long as it’s at a balanced rate (ie. there’s enough snowfall to compensate the loss of ice) then things like ice fields, ice sheets and icebergs remain the same. Yet when the loss of ice is greater than the replenishing snow then things get a bit awry. The melt is overwhelming and sea levels rise dramatically. 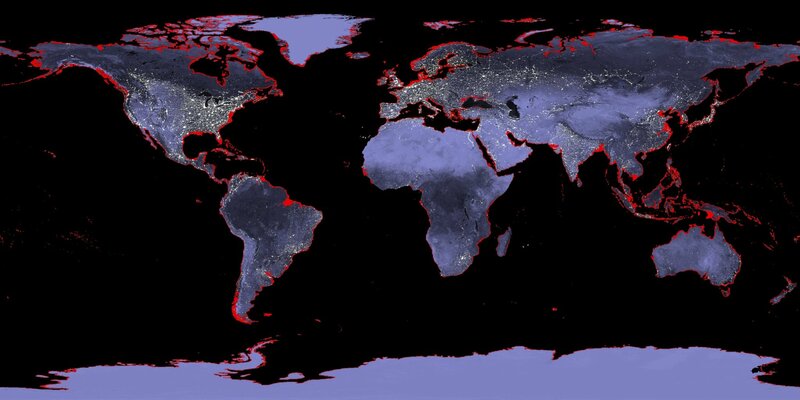 This is what would happen to our landmass if there’s a sea level rise of 6 metres. The areas marked in red would be completely submerged. In the first comprehensive study of ice flow in Antarctica by NASA, undertaken in 2011, scientists discovered a ridge split across Antarctica, from west to east. They also discovered that ice on the interior moves by sliding across the top of the landmass and is essentially being held back by the ice that exists at the coastline. The faster this coastal ice melts, the faster the speed of the ice flow from the interior. That’s quite a disconcerting thought, considering there’ so much ice here to melt. 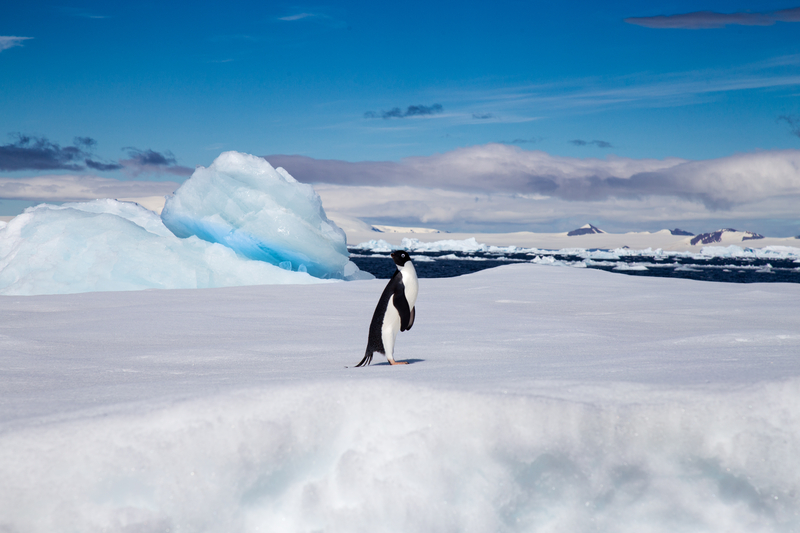 Antarctica covers over 14 million square kilometres and over 70% of it is covered in ice. Moreover, although NASA scientists had already tracked ice flows moving just a few metres a year, they were flabbergasted to witnessed an ice formation moving more than 200 metres, in just a single year. The findings have been used to predict sea level rises, the world over and most research is conducted using satellite imaging, as studying Antarctic ice flow on the ground is simply too difficult. The conditions are just too harsh. Scientists often track ice flow by pinpointing crevasses, which move along with the ice pack on which they are found. Why is the Antarctic ice so crucial? Just 10% of our planet’s landmass is made up of ice and Antarctica is home to more than 90% of it. 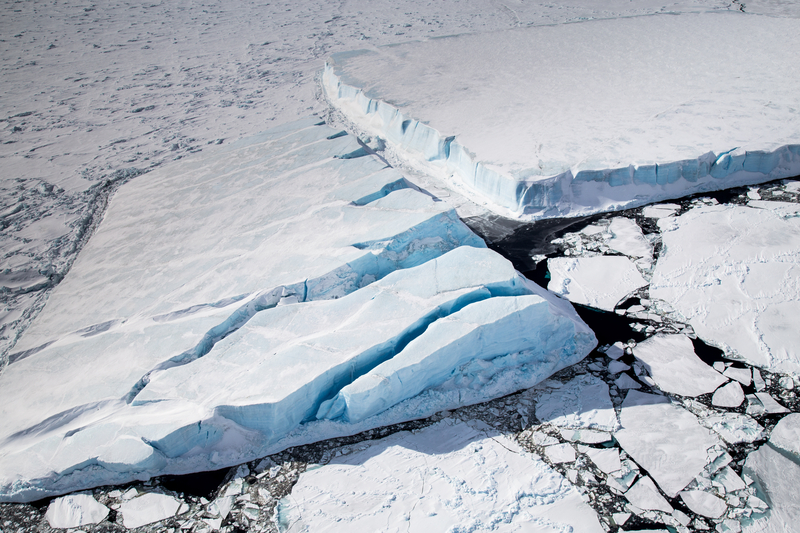 If Antarctica’s ice were to all melt today, our sea levels would rise by a mind-boggling 60 metres. The continent is essentially split into two ice sheets, known as the Western and Eastern Antarctic Ice Sheets. The two differ in many ways, with the latter being almost 9 times larger than the former. Right now, the icy region of most concern is in West Antarctica because, given its smaller size, lower elevation, shallower depth and the fact that most of it is grounded below sea level (where warmer sea currents can hasten its melting rate) the ice melt here is occurring much faster. Despite being the smaller of the two, the West Antarctic ice sheet alone contains an estimated 3 million cubic kilometres of ice. For all these reasons, the WAIS is considered to be much more vulnerable to global warming than the EAIS. This ice sheet is believed to have been reduced by two-thirds in the last 20,000 years, from the time of our last Ice Age. 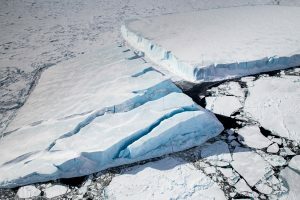 Understanding how fast this process occurred (scientists already know that the loss of ice created a sea level rise of over 30 metres) will help shed a light on how the ice flow in Antarctica will react to our impending warmer climate. This interactive Ice Flows Game explains ice behaviour in Antarctica really well gives you a chance to ‘play’ with varying degrees of melting and snowfall to virtually see the dramatic consequences. As a responsible tour operator, we worry about the impact of tourism in Antarctica yet we believe – along with many scientists – that carefully controlled tourism in the continent can have a tremendously beneficial effect on its protection. Read more on about this top on our blog: Are We Loving Antarctica Too Much?.